Dual-Z Harmonica microphone for amplified blues harmonica and vocals. To my mic collection i'm proud to add this PRO-SOUND Dual-Z Harp mic/vocal mic, two mics in one!!! This mic is easy to cup and has a great tone, good bass response and easy to overdrive for that raw bluesy sound if your’e playing harp, it's also great to sing through by using the mics second function, a real all-rounder! LOW-Z- This is the correct impedance for a vocal/singing mic when plugged into a P.A, crisp clear vocals. OFF- You can't beat an off switch to help control feedback or any unwanted background noise at certain times. 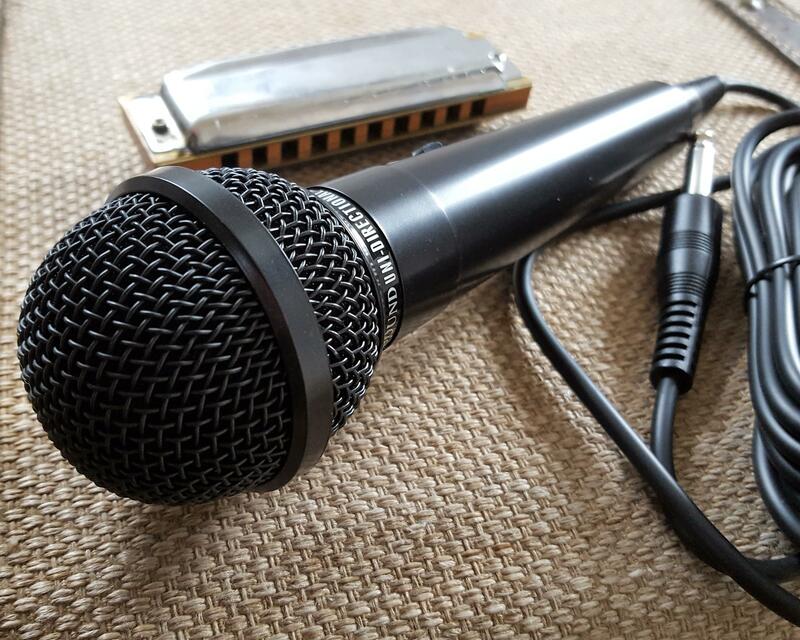 You can't get a new mic that sounds this good for blues harp at this price!